Gleam allows you to integrate your campaigns with MailerLite, this includes sending users from Competitions, Rewards or Capture. You can enable the MailerLite integration on the Pro plan & above. 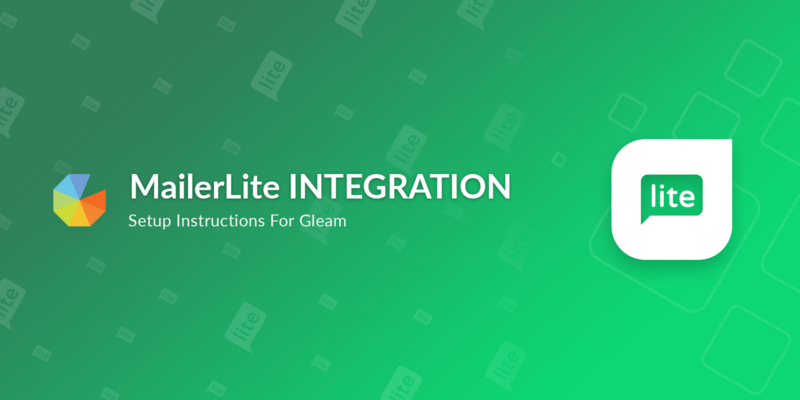 Simply navigate to Settings > Integrations then turn on MailerLite. You will need your API Key which you can find inside MailerLite and your default group name. We support the syncing of Custom Fields for MailerLite through our Custom Field Sync feature, you can set this up via the Custom Field Mapping button when setting up the integration. Once you've activated your MailerLite integration within Gleam you will need to include a Subscribe action in your campaign. This subscribe action can contain the name of the list you want to send subscribers to, please be aware that this list must exist within MailerLite already.